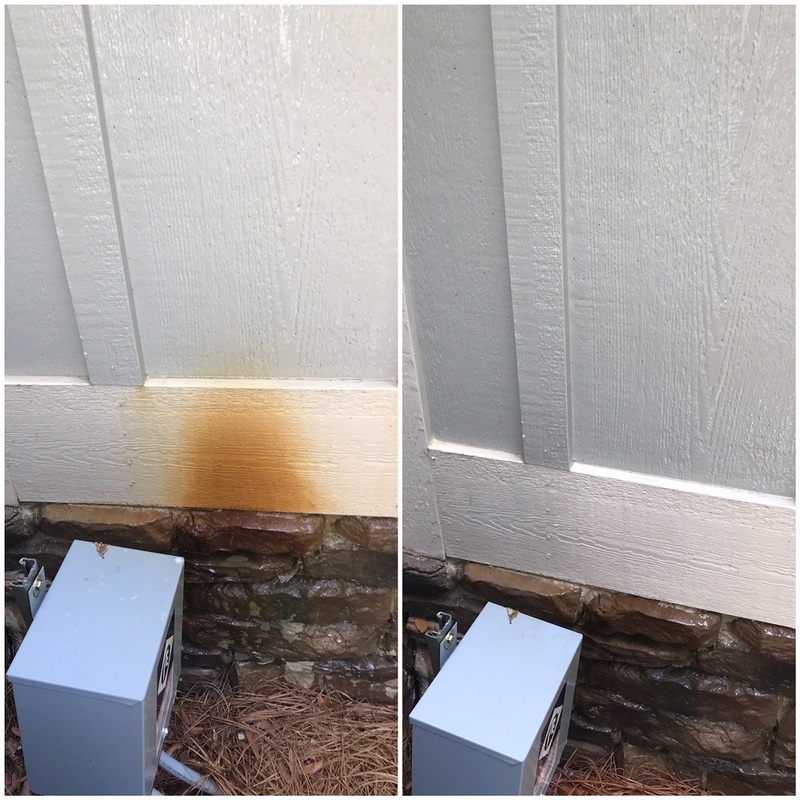 "...not only rust stains but also orange battery acid burn and fertilizer stains"
WashRite Pressure Washing is an authorized F9 BARC applicator, the world's best rust, fertilizer, and orange battery acid remover. 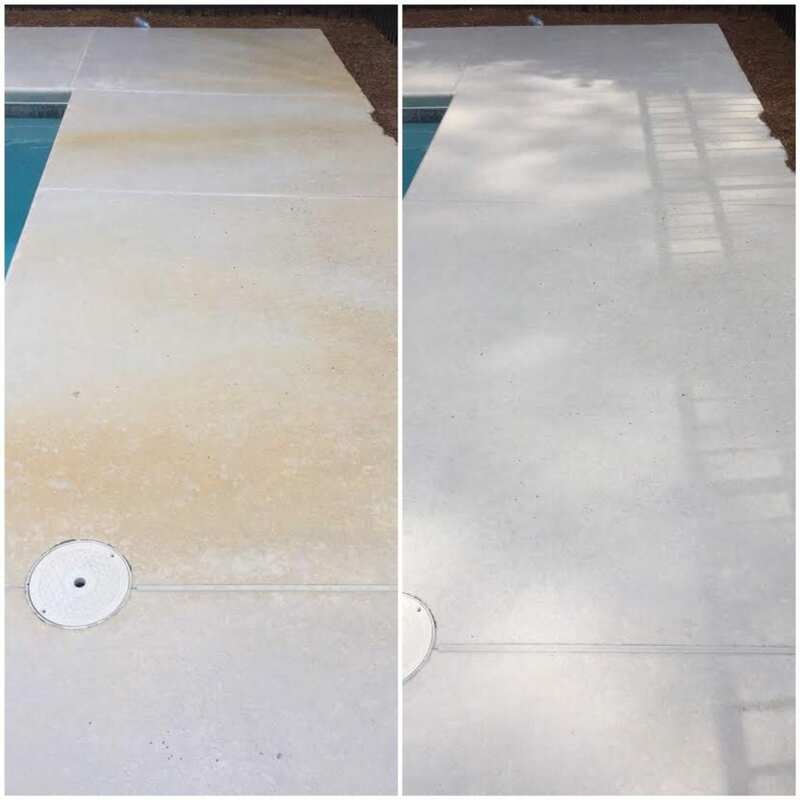 As an authorized applicator, WashRite Services has demonstrated that we have the experience, equipment and chemicals to get the job done right. 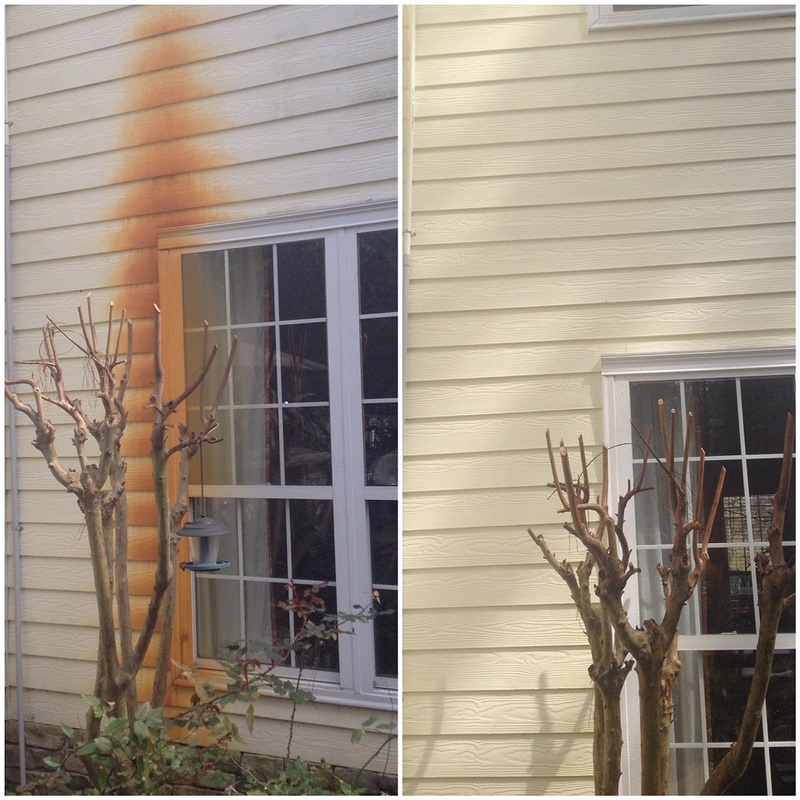 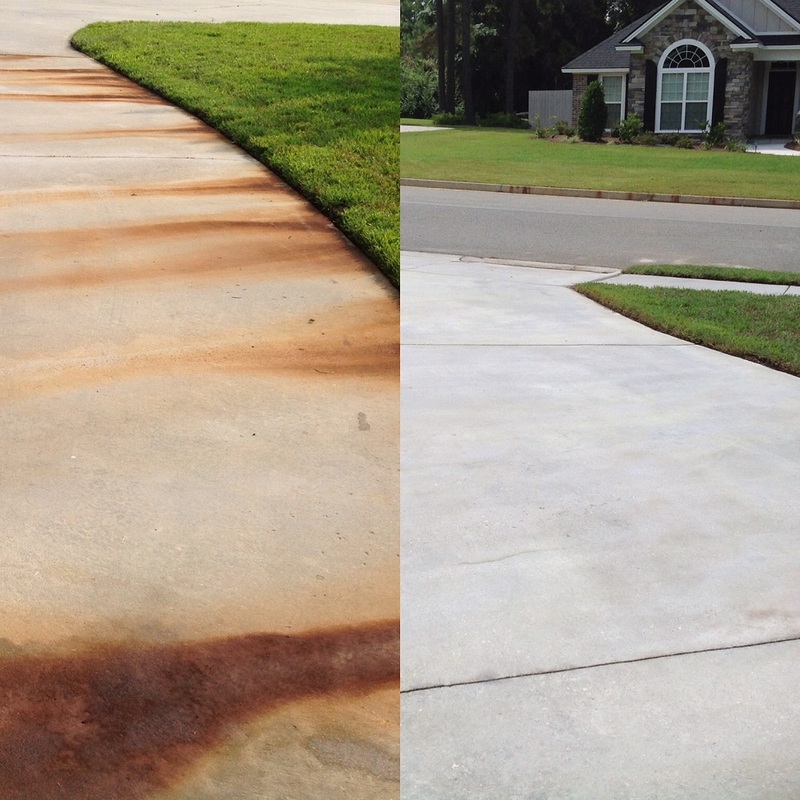 Are you looking to remove ugly rust stains from your driveway or concrete or other surfaces at your home or business? 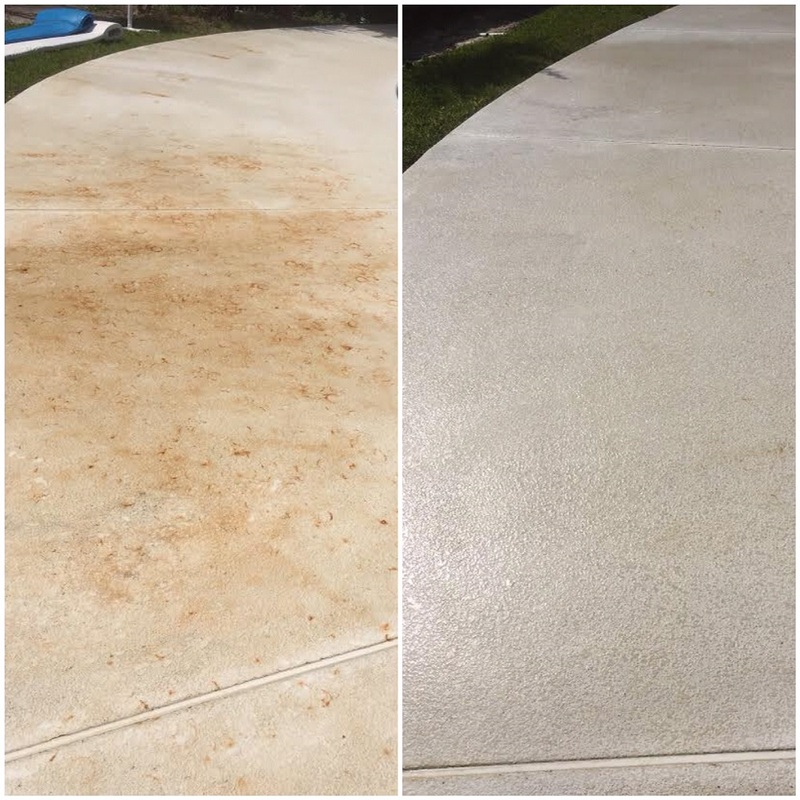 We can remove rust and battery stains from a wide variety of substrates and surfaces including: concrete, bricks, pavers, tile, stone, stucco, siding, concrete coatings, pool decks, roof shingles, asphalt and more. 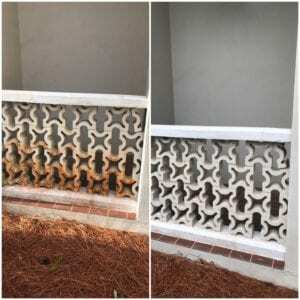 Removing Rust from a concrete surface is one the most difficult concrete stains to remove. 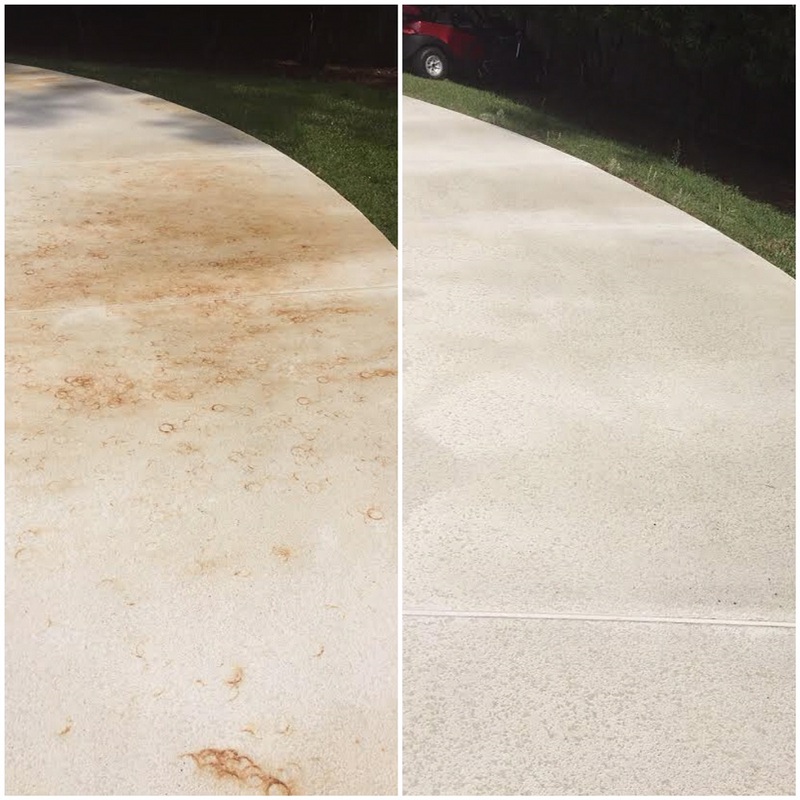 WashRite Services is trained to recognize the different types of concrete rust stains and how to effectively remove them without damaging the concrete by etching or eroding the surface.